China has a massive debt problem. The good news is: All problems eventually solve themselves, the question is just how and at what cost. According to a Reuters report, China has now taken a proactive approach to solving its debt problems, which is different from a wholesale devaluation of the currency or massive write-offs and bank restructurings. “They are evergreening problem loans instead of actually writing them off. 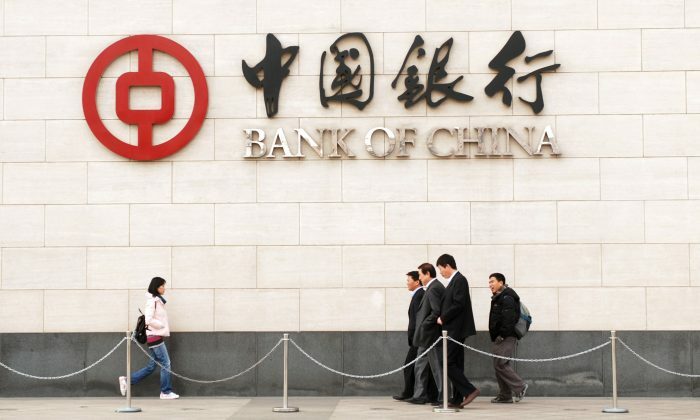 So they look money-good on the balance sheet, but the problem is just kicked forward in time,” said Evan Lorenz, the China specialist at Grant’s Interest Rate Observer. Now China has taken the whole rolling over loans idea to a whole new level. According to inside sources cited by Reuters, China will launch a new policy that allows the state banks who own the problem loans (anywhere between $7 trillion and $10 trillion in size) to convert them to equity. Translated this means the state owns the banks and the banks own companies which would otherwise be bankrupt. Once the bank loans become equity it is not at all unlikely the investment into a state-owned firm would carry a special risk weighting, probably very low, and would not have to be marked to market. It would be immune from market pricing of the equity, which would probably be closer to zero rather than par. In other words, until the troubled company owned by the bank would actually go bankrupt, which it won’t because it won’t have any debt for the time being, the banks don’t have to take any hits on capital. The disadvantage is that the investment will be worthless anyway because the zombie companies won’t pay any dividends and the equity won’t be able to be sold unless it’s for pennies on the dollar. The step will also mean a huge regression away from reform, as the state will tighten its grip on company control, rather than lessening it according to the 12th five-year plan and the leaked drafts of the 13th five-year plan. It will also destroy any effort to make China’s capital markets more efficient if creditors know they may one day be forced to undertake a debt for equity swap. Desperate times, desperate measures.